Serving Tray for Special Porter and Brewery’s Own Bottling from Jos. Straubmuller & Son. 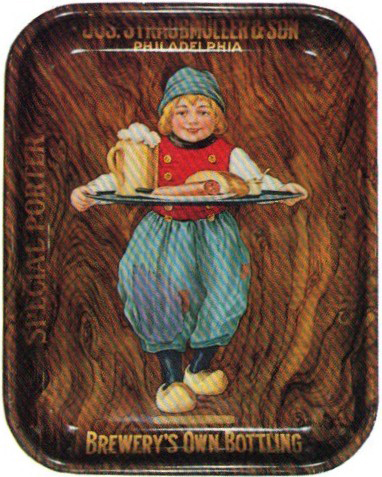 The center shows a young person holding a tray and serving dinner and a mug of the company’s Porter.